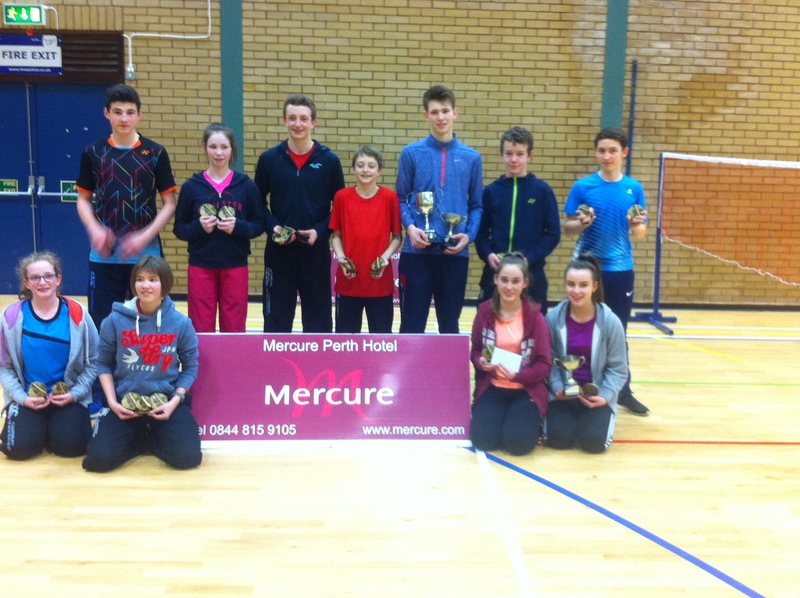 The Mercure Perth Junior Badminton Tournament was held at Bells Sports Centre on Saturday, 19 March, 2016. With once again around 80 juniors from all over the Midland area competing, over 4 different age groups, it was a very busy but successful day. Special mention goes to Blair Addison and Fraser Sheriff who were triple winners at U19 and U14 level respectively. Full list of Winners & Runners-up can be found here – Mercure Winners 2016. Below is a photo of the winners with their trophies which were very kindly supplied by Perth Trophy Shop. Jamie Stewart (Dunfermline), Eilidh Addison (Dunfermline), Fraser Sheriff (Dunblane), Finlay Sheriff (Dunblane), Blair Addison (Dunfermline) Ross Robson (Dunfermline) and Graeme Thomson (Perth Junior). Well done to the organising committee and thanks to the volunteers who came along to help on the day. 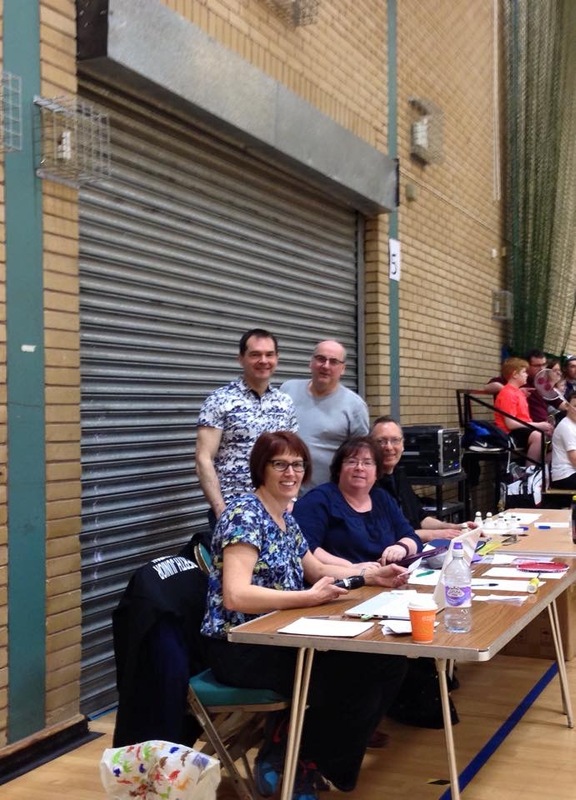 Seated – Aileen Travers and Susan Berry – Perth Junior Badminton Club Committee members and Neil Orchard, Crieff Badminton Club.